Ever explored the "What are you doing?" textbox (after clicking the smiley face icon) when you are about to post a status on Facebook? If not, there is a "traveling to" option in which you can type in a destination. 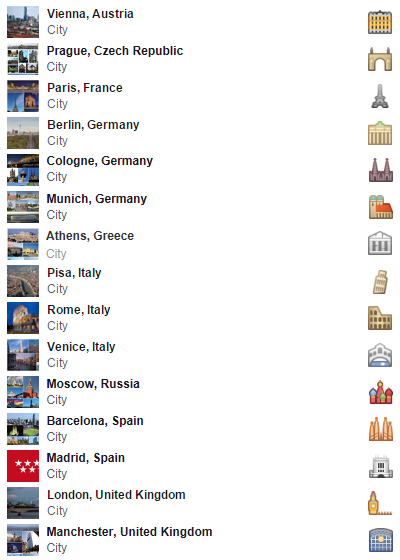 For example, there is a special Cancun page showing events, places, etc. and even friends' activities in the popular resort city. 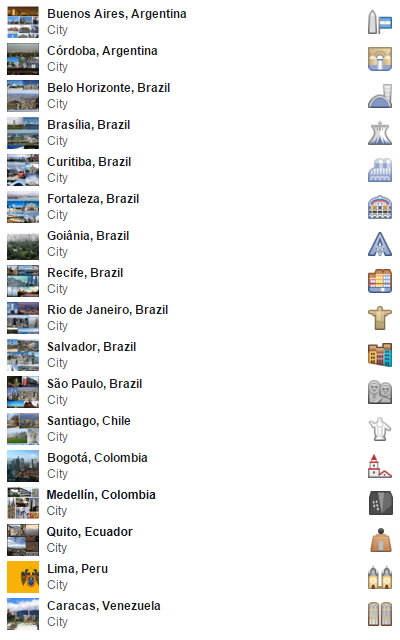 Flag and famous-site icons pop up for particular cities and countries. For instance, Traveling to Panama results in a Panamanian flag icon appearing. Yikes, Facebook gives a stern warning sometimes! 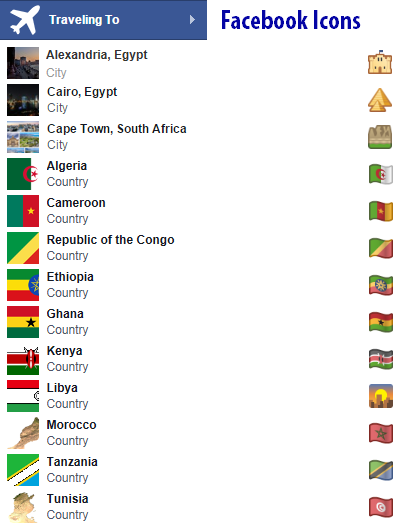 Facebook Tip: I personally would NOT recommend posting where you are traveling to soon. You probably realize this, but posting where you are going soon could leave you vulnerable to a possible burglary at home! 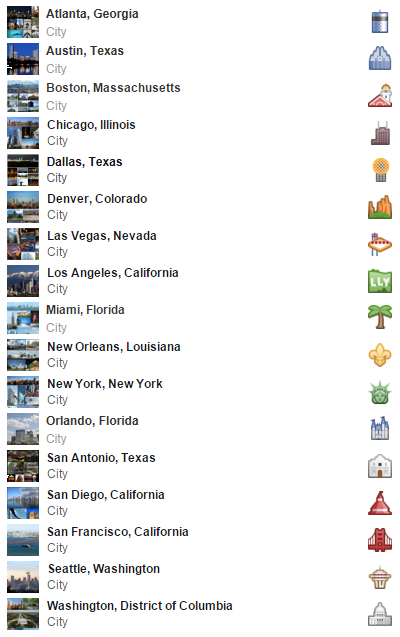 Facebook's "traveling to" feature has nifty icons, but I don't recommend using it in your status. Instead, just be patient and post about your trip after returning home. GeoFact of the Day's Facebook page will use this feature from time to time to show the relevant locations of posts — and not to actually show where I'm going soon! Hey there! Please note that SPAM comments (with unrelated links) will be deleted from this post and the more than 1400 other posts. Thank you so much for accessing GeoFact of the Day today!